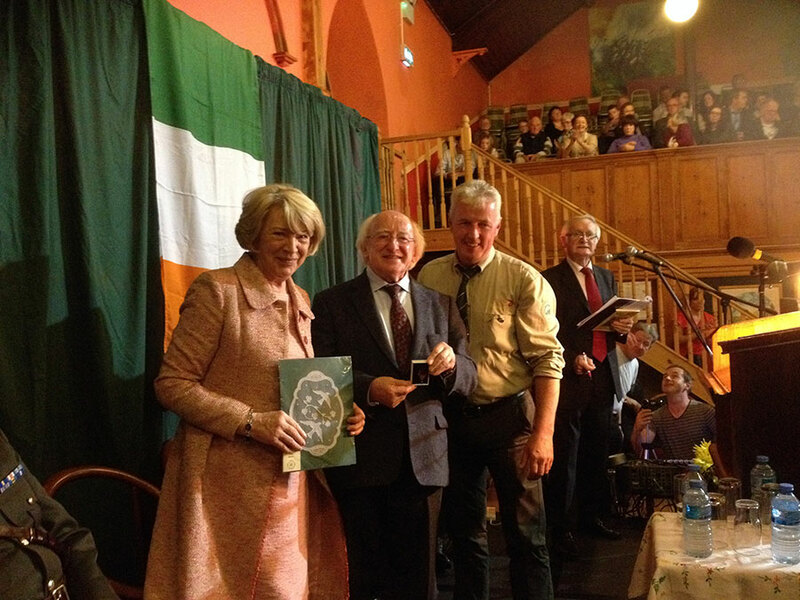 It’s a great pleasure as President of the Patrick Kavanagh Society to thank the President of Ireland for coming to Inniskeen and for what he has said. Actually, as well as being a pleasure it’s a privilege and an honour. Now, in the sense of mere entitlement, privilege and honour aren’t words that our President has much use for, but this year I think they suit the occasion, and, if you’ll excuse me, I’ll tell you why in a somewhat roundabout way. In his lifetime Kavanagh was aware of his position; he knew that as a poet he was a representative person, but what he represented was obscure. For most of his life he was regarded as something of an oddity, at worst a nuisance, at best the voice of unconscious nature, ‘Fancy’s child, Warbling his native wood-notes wild’. Certainly not an intellectual whose ideas needed to be taken seriously. President Higgins understands that position. All his public has been spent, often in isolation, urging the necessity of a critique of the impure reasons that underlie our politics. I was saying that Kavanagh was aware of his position as the poet. Late in life he was able to proclaim ironically and yet with some pride that ‘There are people in the streets who steer by my star’. I know this is true. I was one of them. Knowing Kavanagh, as I did, a little, in the 1960s, seemed to me – I don’t exaggerate – a spiritual privilege. But while I believed in him as if he was a kind of deity, I also wondered why the god had indigestion, drank too much and could be titanically rude. But then he was a Titan and he was angry with the world. When he said, ‘Gods make their own importance’ he did so because he knew no one else was going to do it for them. John Montague recently wrote about Kavanagh’s first meeting with the late Seamus Heaney – hard to believe Seamus’s first anniversary has just passed. Kavanagh had one question to ask about the young man from Bellaghy; it was really the only question he asked of any poet: ‘Does he have the Touch?’ Kavanagh had more than a bit of the Calvinist in him: as far as poetry was concerned he believed in predestination. To be a poet you had to be chosen. Chosen by whom? Well, by god. As a thought this is an awkward customer: being chosen means you are god-like but that would mean you have had a hand in making yourself, which is not only a heresy but sinful, the sin of pride. Such a lack of humility doesn’t suit a man waking in a Mucker fog. Do you see where the awkwardness comes in? On the one hand he was St Patrick and had followers. On the other hand he was Paddy, a name he didn’t care for, a sick old man, down on his luck, quite without importance. The solution he found to these contradictions was not to care. But not caring was not easy to keep up, and it was a solitary business. Whatever about his status amongst his friends and followers, he was on his own in society. That’s why his few connections to power are interesting. There is, for instance, something mysterious and comical about his relationship with the Catholic Archbishop of Dublin, Dr John Charles McQuaid, who was Kavanagh’s patron for some years. What could they have talked about? John Charles was a Prince of the Church and he lived in a palace, but Kavanagh lived in a dingy flat on the Pembroke Road and he was broke. But, as the archbishop recognised, the poet had a spark of the divine in him. It was not, therefore, an equal relationship. The prince had to look up to the pauper. He couldn’t talk down to Kavanagh. He wasn’t qualified to do that. Well, this is a roundabout way to get to privilege and honour, and yet here we are tonight honouring the nobody, and the country that was indifferent to him when he was alive has a President who travels to join us in paying tribute to the poet of the past and the young poets of the future. That seems to me to be right, properly civil, a noble call. In his earlier life the President was, as well as being a considerable poet in his own right, a distinguished academic, a sociologist with a special interest in rural poverty – he had an even harsher experience of it than Kavanagh had. As a result he was impatient with romantic notions of peasants and their poets. He did, though, make an exception of Kavanagh. Actually, the future President and the poet agreed on the need for a more realistic understanding of the Great Hunger in the Irish experience. Both men, after all, had been brought up on notions of what the ideal life of an Irish man and woman should be and found them wanting. Love without desire is, on the face of it, an innocent dream. Unfortunately, as we have come to know from the history, the dream masked a nightmare. But the world changes. The nobody that was Kavanagh became a somebody and the isolated thinker that was Michael D has become the President. The representative poet and the man representing the people stand on equal ground. Everything that the President has worked for over his long career in public life, in particular when he was Minister for the Arts – in my opinion the best we have ever had – all that work has been directed at a general equality. He, and if I may say so, his wife Sabina, have always believed in the arts as an essential component of a proper democracy and they have worked to bring that belief into being. 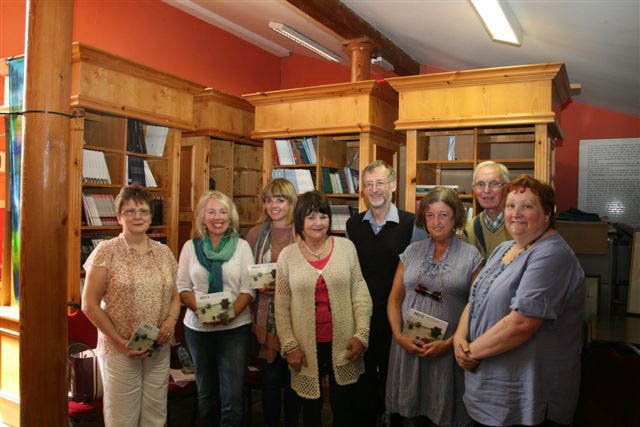 The arts community are grateful for that work as are the people of Inniskeen for his honouring of their poet. For your words tonight, for your coming here, it is a privilege to say thank you.